How Modular Construction Can Deliver An Affordable Alternative And Bridge The Gap Of The Missing Middle. In our attempts to deliver the highest and best use for our sites, we developers are causing a great divide, that is plenty of inner city apartments and outer ring house and land, with little in­ between. This gap is compounded by limited land affordability, increased construction costs, and over regulation. To bridge this great divide, and provide affordable alternatives, we need affordable quality construction solutions. Modular construction is an important part of the solution. There will always be demand for units and freestanding homes, however the need for affordable alternatives is unquestionable. Developers have seen the divide and many are scrambling to secure townhouse sites in the inner and middle ring, Kerdic being one of them. However, the costs associated with such developments mean the yield needs to be pushed and the townhomes have to be marketed towards the high end to achieve the required gross revenues to turn a profit. While this has worked in recent years in a rising market, we are beginning to see a shift with respect to affordability. It is clear we have to diversify our product offering in order to bridge the gap and deliver what the market really wants. Our recently delivered project in Everton Park, City Vista, helps to demonstrate current market demands. This project comprised 24 traditional three-bedroom, two-bathroom, double-garage townhomes; six three-storey executive homes with city views; and 14 two-bedroom apartments. The traditional townhomes walked out the door as they represented a discount on the median house price in the suburb, while the higher priced executive town homes were slower to shift. Moreover, the units, despite offering city views and competitive pricing, remain a slower prospect. While we are confident in securing a successful outcome for the apartments at City Vista, the response to the three differing product types highlights very clearly what the market is looking for – relative affordability. Within the current market there is a considerable supply of affordable one- and two-bedroom units in the inner city, but only so many people choose to live in inner city units. We have a seemingly endless supply of affordable house and land packages in the outer ring, but these typically come with some sacrifices as far as amenity and proximity to major transport and employment hubs. Unique developments offering a secondary income whether it be granny flats, fonzie flats, or SOHOs (Small Office Home Office). The question is, how do we deliver this product affordably? Barring some key planning and regulatory reforms, we at Kerdic believe one of the keys to delivering truly affordable and diverse housing alternatives in locations that people genuinely want to live is in the cost of construction. Traditionally, residential construction has consisted of bricks and sticks, but this is set to change. Modular construction is the future of housing. I say that not because Kerdic owns an innovative modular manufacturing facility in China – Nova Deko Modular – but because the rest of the world is proving it already, and we need to catch up! If we don’t embrace modular construction, we not only face a compounding affordability crisis, but we risk losing the golden opportunity that is in front of us in the modular construction race. 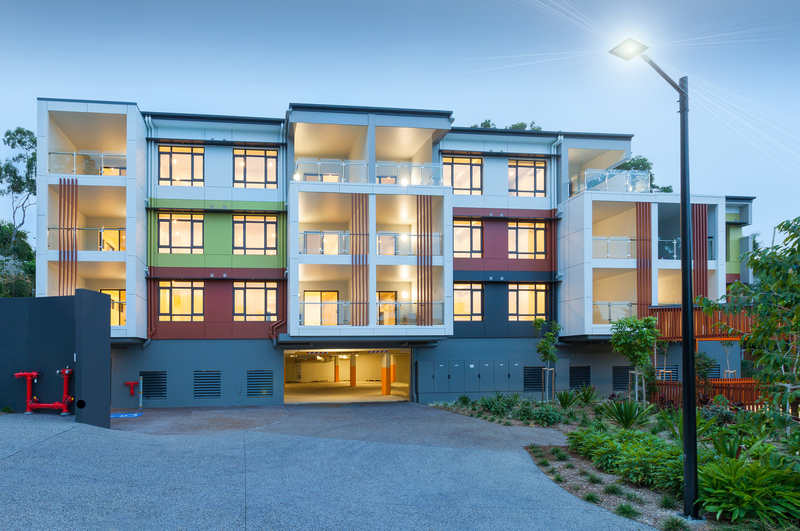 Kerdic has recently delivered what we understand to be the first modular apartment building in Queensland. It was not without its challenges. However it serves as proof that it is achievable and as valuable R&D for our future modular ambitions. Modular technology is available now. It is affordable, high-quality, and represents a considerable time saving for developers. We need to embrace innovation in the construction industry and adapt accordingly. It means coming together as an industry body to petition our regulators to embrace this new technology to make the required changes and reduce the unnecessary barriers to entry. Kerdic has firmly shifted its strategic direction towards modular housing developments and affordable housing in particular. We are actively seeking appropriate sites to further develop our product, and it is our intention to seriously disrupt the market with both our modular product offering and the price point. We believe that our mission will help to fill the demands of the missing middle with alternative and affordable housing.